Everything Audio Network: Digital Converter Review!Benchmark DAC3-DX Dual-Buss Output DAC:More Output Options,Incredible S/N Performance! Last year, I reviewed the Benchmark DAC3 flagship, the DAC-3 HGC in all its splendid sound — via headphone and line output. This year, I got a chance to evaluate the DAC3 DX, which gives you the same high performance from an upgraded, dual-buss analog output scheme and inclusion of the pro-spec AES/EBU digital input. Utilizing the superb ESS ES9028-PRO 32-bit D/A chip, the $2,195 DAC3-DX (with remote; $2,095 without remote) also keeps the good stuff I like from the HGC (the headphone amp, digital connections, line out stages and bit status). 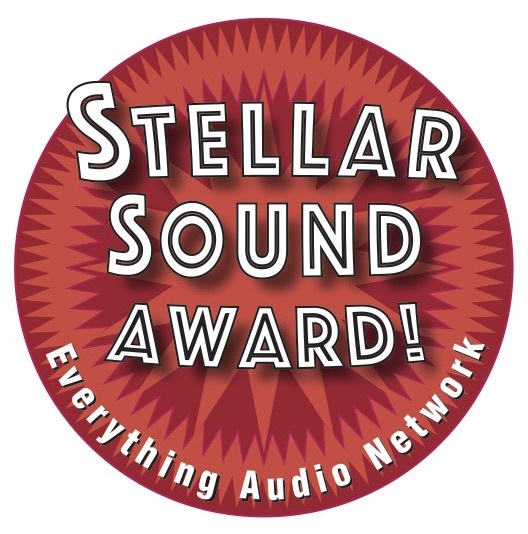 The biggest feature difference from the HGC is addition of an AES/EBU XLR digital input, deletion of the analog inputs, and DX’s implementation of the dual stereo output bus operation — enabling separate headphone volume and line out. On the audiophile side, this premium DAC is designed for those who don’t use their DAC as an analog preamp — like me. Like many audiophiles, I hook up my DAC to my preamp of choice and only used the DAC as a DAC. I only use the volume control for the headphone listening. As a D/A converter, the Benchmark DAC3-DX is outstanding in its conversion quality. I used it extensively for listening to hi-res music through the headphone amp and the line out: open, smooth detailed sound with that recording studio accuracy that I am used to from Benchmark. The dual-buss stereo output capability, with separate volume control for HP amp and line out, gives added flexibility for specific uses, such as music recording in home studios, or audiophiles who want to use a fixed out for feeding a preamp and utilize variable volume for their extended headphone listening or driving a power amp. The DAC3‘s front panel contains the power button, two low-impedance load headphone jacks, audio mute/dim switch, power switch, and motorized volume control. An assortment of input indicators; the sample rate indicator, and word-length indicator (which every DAC should have) complete the front section. The DAC3-DX rear panel and is snugly packed with digital connection options: two SPDIF coax, two TOSlink, USB digital input (USB 1/2), an AES/EBU XLR digital input, all capable of 24-bit/192k audio. To make room for the AES/EBU connector, the DAC2-DX loses the two pairs of RCA unbalanced inputs (of the DAC3-HGC and L models). Analog-wise, the DX contains two sets of RCA unbalanced outputs, as well as the balanced XLR analog output pair. All Benchmark DAC’s support DSD playback (DoP), and the digital input is via the USB jack, which decodes USB 1 and USB 2 digital protocols. USB 1 is a driverless input that supports up to 24/96 and no DSD. USB 2 supports up to 24/192 and DSD. The DAC3 series will also decode DSD from the coax and AES/EBU digital jacks via the 24/176 PCM carrier. 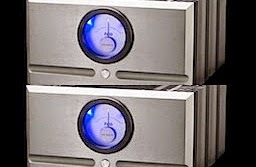 Benchmark also makes the DAC3-L, which is a headphone amp-less version of the HGC. It costs $1,995 with the remote. 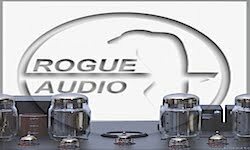 The L model is for those who don't give a hoot about HP listening, and they save a few bucks. The DAC3-DX digital conversion design is the same as the HGC, other than the way the DAC chip channels are paralleled, which nets the DX a slightly lower, measured S/N-Dynamic range (-127dB vs. -128dB), but nothing that is audible. 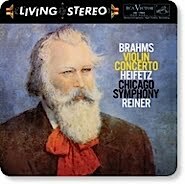 In fact, when I listened to them with my Coda preamp and level-matched each DAC, I could not hear any difference. As with the HGC, the DX contains the THD compensation feature, which is designed to enhance clean bass and a more-open, revealing soundstage. Like the HGC, the DX is in the top DAC class when it comes to playing hi-res music. Listening through headphones or line out, you can hear the bass precision, stereo image detail and timbre accuracy. According to Benchmark VP/Designer John Siau, the sonic excellence is the result of the following design upgrades in the DAC3 series. Active second harmonic compensation; active third harmonic compensation; lower THD+N; lower pass-band ripple; improved frequency response; faster PLL lock times; and faster switching between input signals. Like the dual-buss, analog output, the balanced XLR AES/EBU digital input of the DAC3-DX enhances compatibility with professional equipment and high-end audiophile gear that use the connector. However, fewer and fewer audiophile players have AES/EBU XLR connectors. Even pro gear sometimes does not have the balanced digital option. Other DX features include a high-quality remote control, which switches inputs, controls the volume and enables bypass mode. I cannot say enough about the DAC3-DX’s sonic character of transparency and accuracy. The key to the Benchmark’s more-refined sound is the new ES9028-Pro chip and the 32-bit, advanced volume control. Benchmark’s John Siau stressed that the “high-headroom DSP” in the ESS chip assures a natural smooth sound, but maintains the dynamics and accuracy. The DAC3-DX can handle signals as high as +3.5 dBFS, offering smoother-sounding performance on maxed digital recordings. Most digital systems “clip” signals that exceed 0 dBFS. Ever since digital recording was developed, the 0 dBFS digital audio limitation seemed reasonable (0 dBFS is the highest sinusoidal signal level that can be represented in a digital system if the peaks fall exactly half way between samples. And 0 dBFS is the highest signal that can be represented if the peaks fall exactly in phase with the samples). 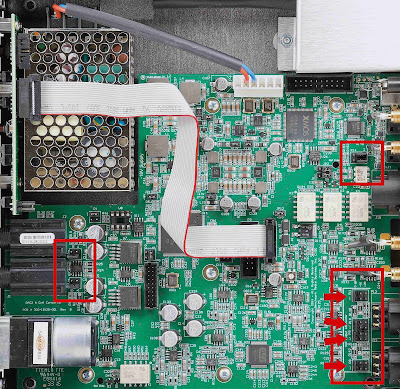 Inside DAC3-DX; jumpers enable XLR attenuation. However, real-world measurements and math equations show that PCM digital systems can have inter-sample peaks that may reach levels slightly higher than +3 dBFS — though the individual samples never exceed 0 dBFS! Inter-sample overs, however, corrupt the PCM interpolation filter, a key component of 24-bit DAC performance. 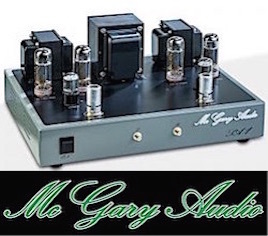 The inter-sample overs, Siau noted, cause distortion components that are non-musical and harsh sounding. Another component of the DAC3’s superb sound is the linear volume control, passive low-impedance attenuators, a 32-bit digital gain control and a servo-driven volume control. The digital inputs are controlled in 32-bit DSP. The passive output attenuators on the XLR outputs optimize the gain staging between the DAC3 and the power amplifier or powered monitors. Most amplifiers and powered monitors will require the -10 dB setting. 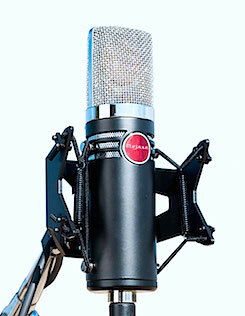 The Benchmark AHB2 accepts full studio levels and requires the use of the high amplitude setting (attenuators off). These pads are very important for optimizing the SNR of the entire playback system. Benchmark utilizes National Semiconductor LME49860 op-amps throughout the audio path of all DAC3's. An Alps, motorized-gain potentiometer is used to control the volume. Benchmark was a pioneer in jitter reduction in D/A converters, and the effective UltraLock2(TM) jitter attenuation system, asynchronous upsampling remain unchanged in the DX. As per the DAC3-HGC, the DX is very well built, using low-noise voltage regulators, and the circuit board has six layers of copper and includes 3-dimensional shielding for critical signals. Components are chosen for the most linear response and lowest distortion. Benchmark reliably carries over from the DAC3-HGC, L (and DAC2), its very useful digital word-length and sample rate status lights. These are key to showing that bit-transparency is maintained from the audio player or computer to the DAC. Note the bit lights on the left. Since the basic design is ditto to the DAC3-HGC, I did not have to do much work in the listening department — other than to confirm its audio excellence. 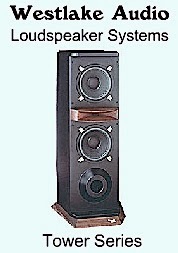 The review system was a newly added pair of MartinLogan Impression speakers, Pass Labs Int-60 amplifier and Benchmark’s AHB2 bipolar output amplifier (said to be the quietest amp on the market).. The DAC3 did duties as a DAC-only connected to the INT-60 with fixed outpt, and as a DAC/preamp,driving the AHB2, which is about the quietest amp on the market. (See EAN Benchmark DAC3-HGC review). Sources included an Oppo BDP-205, an ASUS Android tablet with USB Audio Player Pro in the bit perfect mode, connected by USB 2.0; and a Macbook Pro laptop using Audirvana Plus. Other DACs on hand for comparison included the DAC-3-HGC, Mytek Digital Brooklyn, Oppo Sonica and TEAC UD-503. Analog interconnects, digital cables and speaker cables were from the Wireworld Eclipse series. Power cords and power strip included Essential Sound Products. AKG K702 Anniversary, AKG K812, Oppo PM-1 and Shure SRH-1840 shared headphone monitoring duties. The remote control duplicates all front panel functions including input switching, volume, dim/mute, and polarity controls. The classy remote is made of aluminum and has a nice feel; the buttons are easy to operate. The motorized volume control makes minimal noise as its servo operates. When you push the mute/dim button from either the remote or front panel, it will lower the level. Hit it again and it goes to the previous volume position. Using the ubiquitous Oppo UDP-205 and my Macbook Pro computer via USB, I played an assortment of hi-res tracks through DAC3-DX, and it performed exactly like the HGC — top-tier audio accuracy, balance, width, depth and detail. My DSD DSF rip (of the often played) Warren Bernhardt - So Real SACD sounded incredible through the MartinLogans using this DAC. The audible cymbal splash sheen detail is like hearing the cymbal in the front of your listening room. Same with the Steinway piano tone. Upper register notes are so live sounding. The “air” and “space” around and between the instruments is simply stunning when played on the best gear. On numerous hi-res tracks, the opinion was the same: sonic excellence! The Stradivarius tone on the RCA Living Stereo release of Jasca Heifetz - Sibelius, Prokofiev, and Glazunov Violin Concertos was amazingly fleshed out from these 1950s/60s analog tape— with a complex depth of the string/wood tone, yet the Benchmark relayed all the detail that was on those tapes. And the headphone amp is just as revealing. Plug in your favorite cans and you will be impressed. It is transparent, uncolored quality audio straight to your ‘phones. No extra warmth or enhanced top end. My AKG K702s and Sennheiser HD-650s matched up well with the DAC3-DX. Since the DAC3-DX design is geared for pros, as well as audiophiles, with its dual-buss architecture. I used the DX’s dual-buss routing extensively in the home recording studio — feeding audio to the headphone amp and monitor speakers for detailed track playback of an acoustic guitar and Nord keyboard recording that I recorded in 24/192. Utilizing the superb ESS ES9028-PRO 32-bit D/A chip, the $2,195 DAC3-DX (with remote; $2,095 without remote) also keeps the good stuff I like from the HGC (the headphone amp, digital connections, line out stages and bit status). With the dual-buss feature you can control the level of headphone amp and the analog balanced or unbalanced line outputs separately. Or you can set the line outs to the fixed level and still have variable headphone level control. In my studio, I connected the DAX3-DX’s balanced outputs to a Benchmark AHB2 amp, which powered a set of Amphion closefield speakers. With the dual-buss feature, I was able to monitor via headphones to check the detail, balance and low level noise; yet, I also could alternately listen and control volume to the Amphion speakers. You can even feed the fixed signal to a multiple headphone amp unit for other musicians to listen. Dual-buss definitely gives you more audio routing flexibility. The only niggle in what is an outstanding endorsement of the DAC3-DX is an exclusion; it does not decode DSD 128X or any PCM above 192 kHz. Not deal breakers, but many competitors do offer those features. Some would argue there is precious little commercial music above 192k (2L mainly), and if there is, the DAC3 can play the music from downsampling through the layer software. I can go for that argument, but the lack of DSD 128X play capability does hinder it for music, such as Blue Coast DSD and those who record at DSD 128X (as i do with my TASCAM DA-3000) and would like to play it from the Benchmark. The Benchmark DAC3-DX is a variation on the DAC-3 HGC with different features: AES/EBU digital input and the dual-buss analog output. The trade off is the deletion of the analog inputs of the HGC, but I prefer the DX over the HGC since I do not use a DAC as a preamp for analog input connection. I use a DAC for digital connections and listen via onboard headphone amp and fixed level output to my outboard line preamp. The dual-output buss is a bonus as is the AES/EBU digital connection. Both make the DX more compatible with professional- and home-recording studio setups. The different feature set gives Benchmark customers another option, and as its specs and subjective use reveal, the DX is worth considering if you want top-tier digital conversion, but minus the analog in. If you do not need analog inputs, it is darn near perfect. 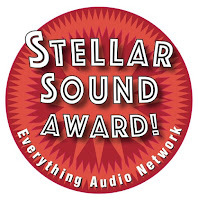 The DAC3-DX most certainly gets an EAN Stellar Sound Award, and should be closely looked at by pros and audiophiles alike.